The Interlogix 600-1070E is a two-way voice hardwired LCD alarm keypad designed for Concord 4 panels. The 600-1070E Concord compatible keypad provides integrated two-way voice operation with the central station operator. Messages indicating the current status of the system are displayed in a large and easy-to-see LCD window, and emergency keys are highlighted on the keypad for added safety and convenience. The 2-line, 16-character display provides easy to read messages to indicate the current status of the system. 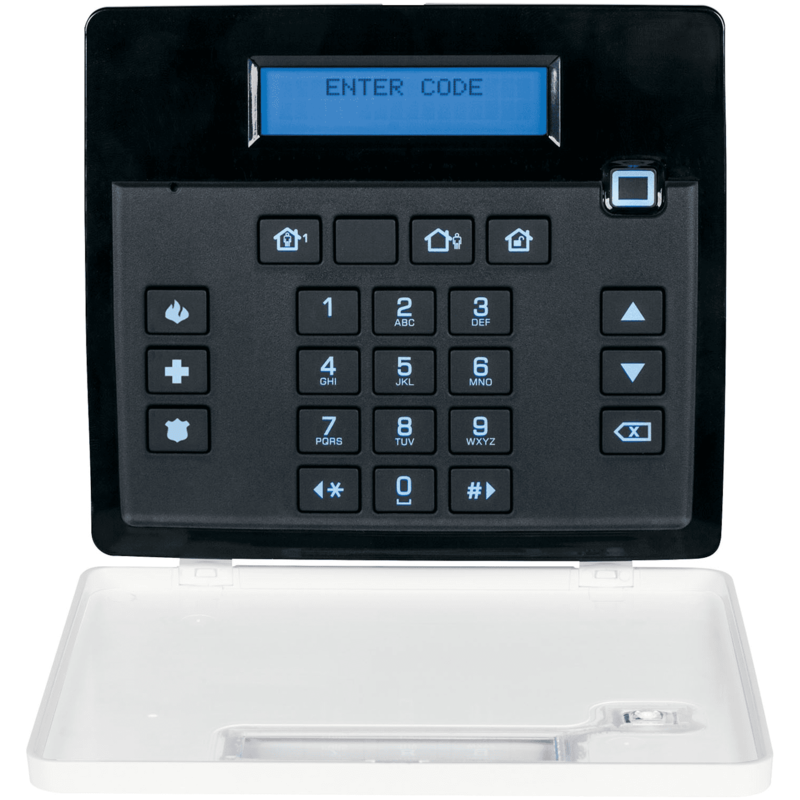 The 600-1070E keypad includes police, fire, and auxiliary panic buttons that can be activated anytime. An internal piezo provides system status beeps for trouble and alarm indications. Two-way audio is achieved using an internal speaker and microphone combination. A supervised hardwire zone provides an additional zone without added wiring to the panel. The hardwire zone is intended for use with intrusion sensors only. This zone input does not provide power for sensors such as PIRs, fire detectors, etc. Opening the removable swing-down door reveals a label with basic system operating commands. Messages indicating the current status of the system are displayed in a large and easy-to-see LCD window, and emergency keys are highlighted on the 600-1070E keypad for added safety and convenience. Keypad can be used for installer/user programming of the Concord control panels and has the capability of displaying customized zone-naming text. A built-in speaker emits sounds to indicate alarm, status, and when a button has been pressed. The swing-down door reveals the control keys and a label showing basic system operating commands. The door may be removed for quick access to buttons and applications where a black keypad is desired. Up to 16 keypads can be installed on a Concord 4 system of which a maximum of two can be connected to two-way audio or a single keypad plus an audio verification module.